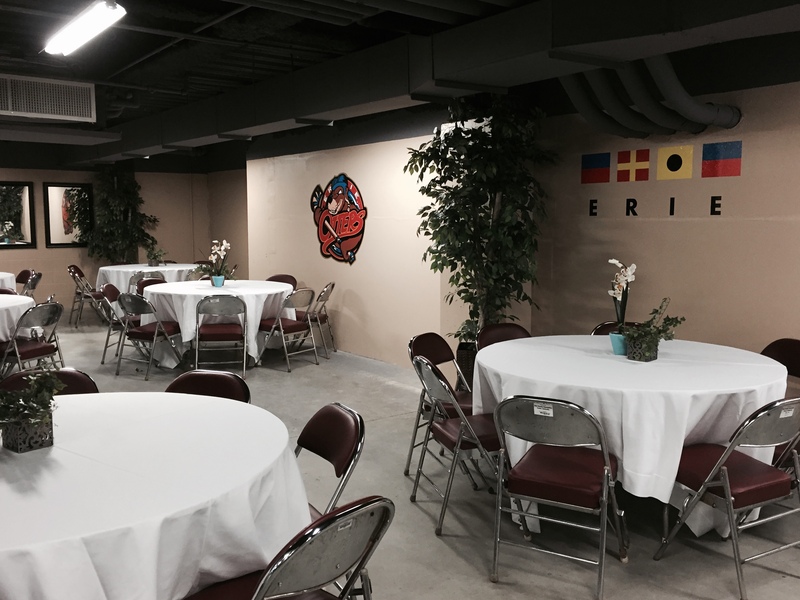 A year after the doors at Erie Insurance Arena opened for the inaugural season, the Erie County Convention Center Authority prepares for the upcoming season with an improved catering lounge for all performing guests. 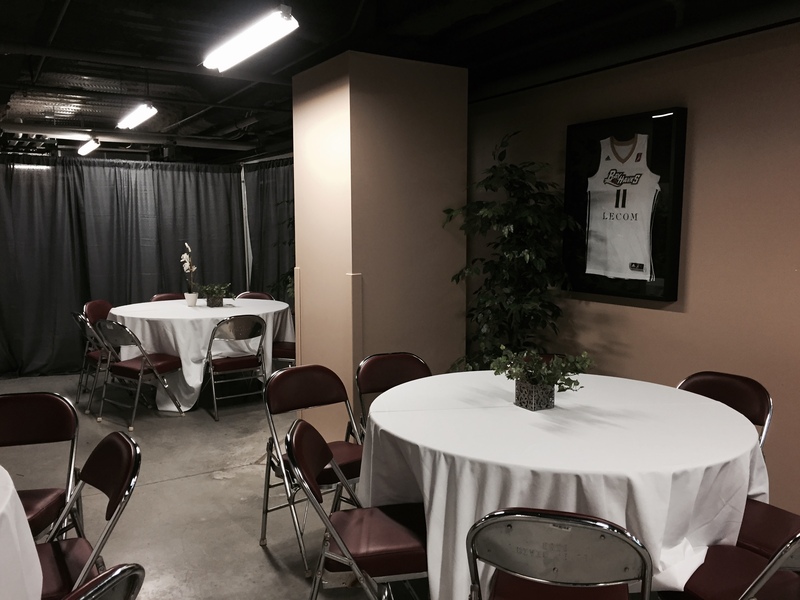 The facility, formerly known as The Tullio Arena, always had a catering space to take care of entertainment acts and their crews, but with the renovation, every detail mattered including the lounge. 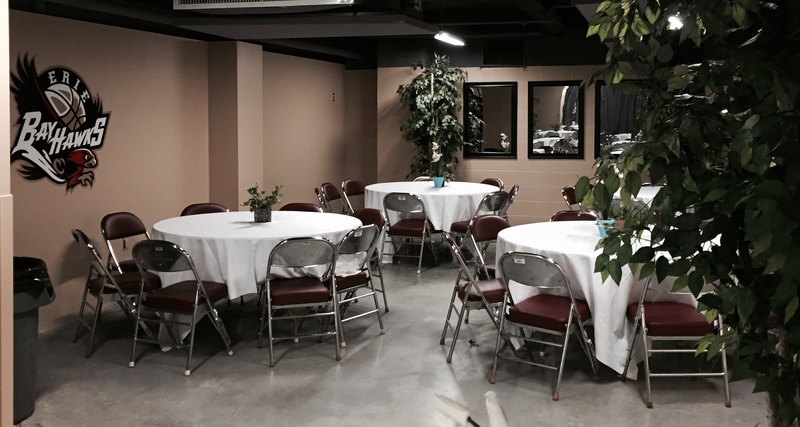 Just in time for the upcoming Rock the Lakes event at the Arena that kick starts a busy season, the improved catering space will be ready for entertainers and their crews. It can play host to around 100 people who are served breakfast, lunch and dinner on the days they’re performing. 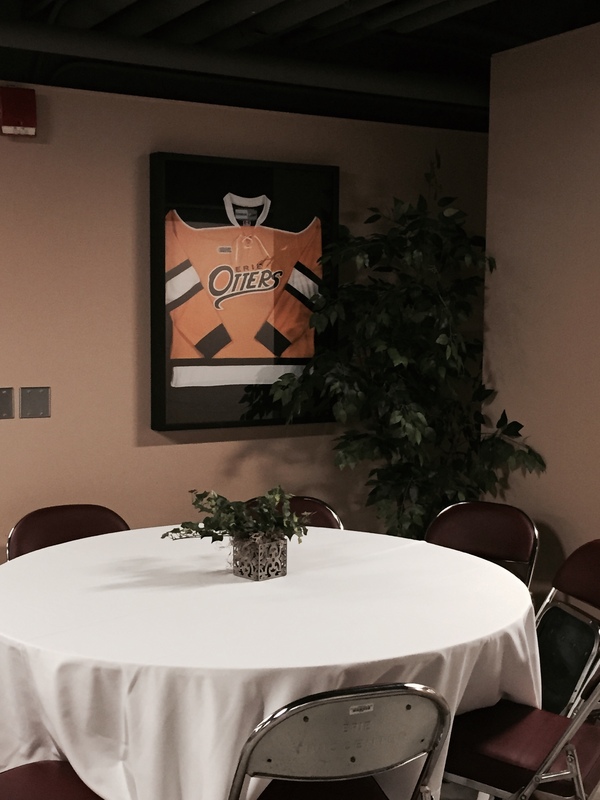 The room is now furnished, featuring team logos and jerseys, including the Erie Bayhawks and Erie Otters, plus an inside view of the packed Arena for the Zac Brown Band concert last fall. 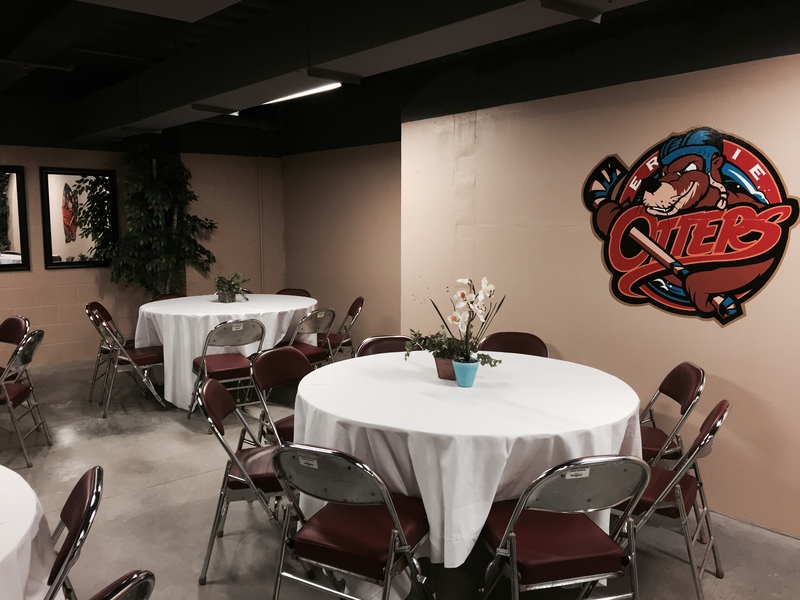 It’s an added amenity that gives performers another reason to come entertain at the first-class Erie Insurance Arena.